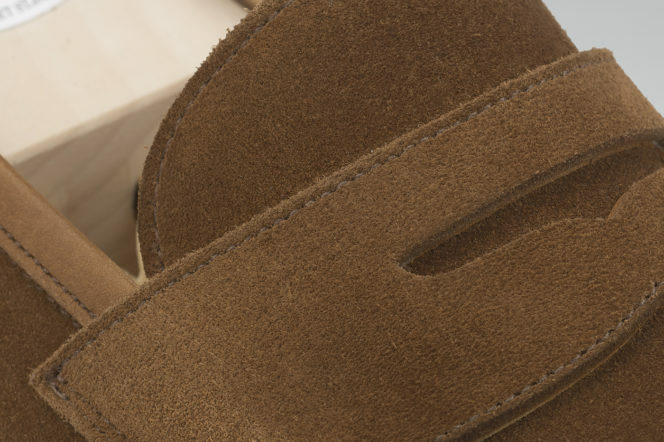 The loafer has come a long way since it slipped off the feet of the Norwegian farmers who invented it over 100 years ago. Walking into wardrobes across the globe ever since, the loafer has remained a stalwart of the shoe cupboard for over a century, and thoroughly deserves its place amongst your lace-ups and boots as one of your go-to shoes. But, although the humble loafer has hit the headlines many times over its decades on our feet and in the news – from Michael Jackson’s iconic ‘Beat It’ look to the scandal that arose when Canadian Prime Minister Brian Mulroney was found to have a loafer obsession (50 pairs?!) 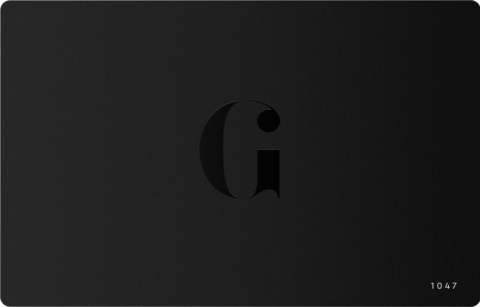 – it is the simplicity of this shoe which attracts us to the design. 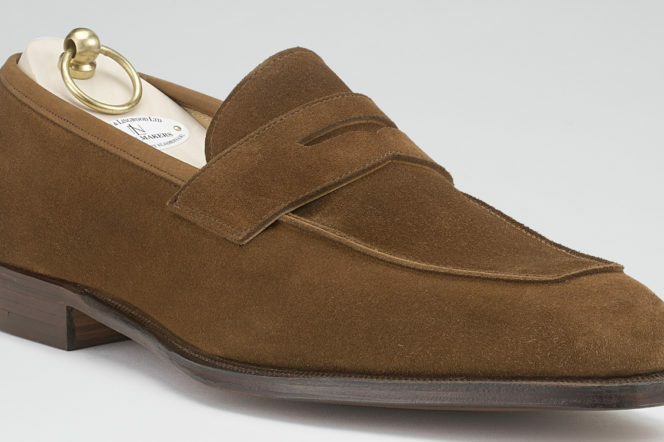 With just enough formality to make it acceptable in business settings, but suitably casual enough to be paired with chinos and a polo shirt, the loafer is as easy to pair with any outfit as it is to slip on and off – which is why it’s one of our favourites. Enter New & Lingwood. The outfitters of savvy gentlemen worldwide, and proprietors of a handsome new store in London’s St James’s, this heritage British brand are tailors and clothes makers of distinction, and have been creating first-class garments and shoes since their inception in Eton in 1865. 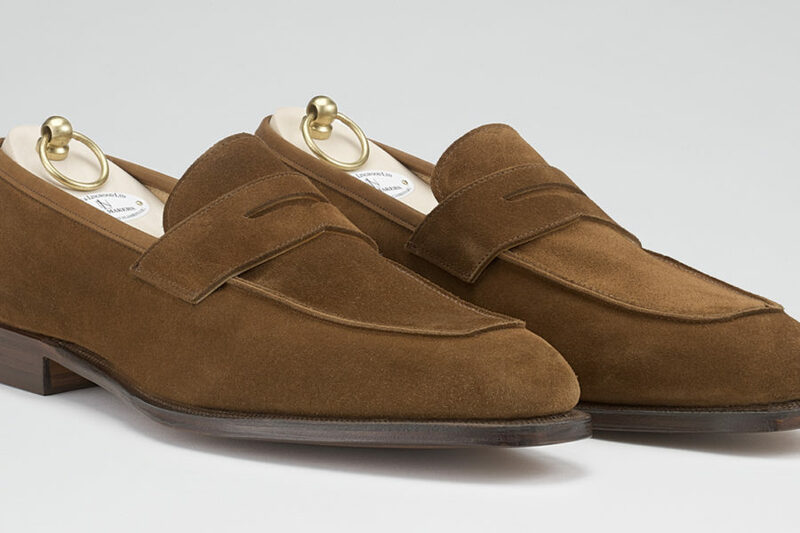 The brand’s own take on the iconic, if simple, loafer, is characteristically well-made. Crafted from the finest aniline calf leather on a traditional Goodyear welted sole, the updated styling is more elongated for a sophisticated profile – and a completely rethought design of the classic loafer look to ensure the brand continues their pattern of presenting classic looks afresh. 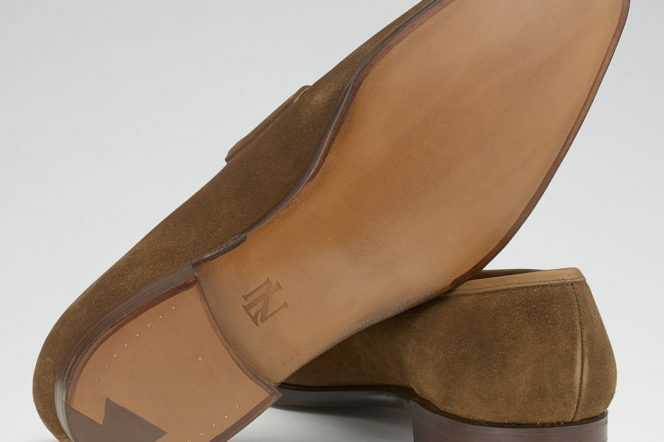 Named the Balmoral, we’d go for the loafer in tobacco for that traditional look. However, if the mood or styling so takes you, the shoes are also offered in a black or burgundy leather.